The Semi Truck Accident Victims Center is urging innocent victims, or their family members to call them immediately, if the innocent victim has been involved is a catastrophic accident with a semi truck, or commercial vehicle on Interstate 10, also known as I-10, because this is literally one of the most remote freeways in the nation, and for at least half of the I-10 it is extremely rural. 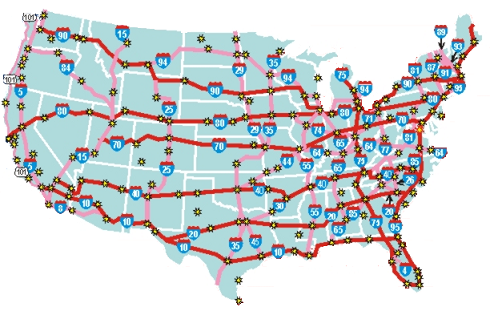 Interstate 10 goes east to west starting in Florida, and running through Alabama, Mississippi, Louisiana, Texas, New Mexico, Arizona, and ending in Los Angeles, California. 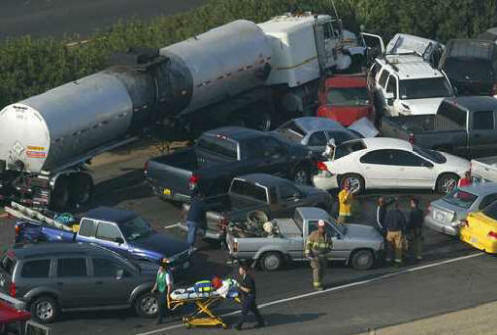 The Semi Truck Victims Center's immediate response includes building a top caliber team of truck accident attorneys, and their investigators, for the innocent victims, and their family members, and the group wants to emphasize this is an incredibly vital service because so much of I-10 is so remote. No other group or organization in the United States, offers anything close to the Semi Truck Accident Victims Center's on the spot response. Aside from 1-10, the group's free service are available throughout the United States. Innocent passenger vehicle victims, or loved ones of innocent victims involved in a semi truck, or commercial truck accident anywhere in Texas, or in any US State are encouraged to contact the Semi Truck Accident Victims Center anytime at 866-714-6466. What To Do If A Loved One Or Family Member Is Involved In A Vehicular Accident Involving A Semi Truck, Or Commercial Vehicle? 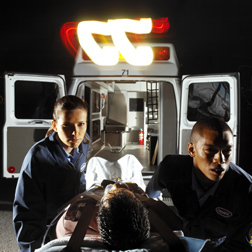 If you, or a loved one is involved in an accident with a semi truck, big rig, or commercial truck, you should seek medical attention immediately if needed. Never leave the scene of the accident, or admit fault if this can be avoided. If there has been a serious injury, family members are urged to call the Semi Truck Accident Victims Center at 866-714-6466, because time is of the essence. Once contact has been made the Semi Truck Accident Victims Center will attempt to coordinate investigators, or legal resources, and anything else needed. If possible, the victim of a passenger vehicle involved in a semi truck accident should take photographs of the crash site, along with other the vehicles, that might have been involved.